An anti-extremism campaigner said he was racially attacked and hit in the face outside a theatre. 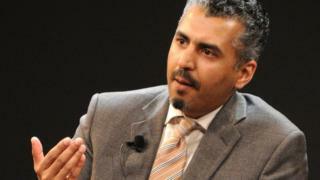 Maajid Nawaz said a white man attacked him while he was standing alone outside the Soho Theatre in central London . A spokesman said the suspect had fled the scene in Dean Street before officers arrived. He said there were witnesses “who heard the racial abuse and have given statements” and added police had his attacker’s “face on CCTV”. “People from all ethnicities and all faiths and none helped me yesterday. It’s in that spirit that I wish to carry on my work,” he wrote.